Kenro Ltd, the UK and Ireland distributor of Braun Photo Imaging products, has launched two new Braun Camera Bag ranges. The Kenora and Ocean Series have been added to the Kenro range and are now available to order. These bags are a great accessory for any camera. The Kenora series is made from high quality nylon and is available in five sizes. The inner measurements of the Kenora series range from 170x140x110mm to 305x180x460mm. 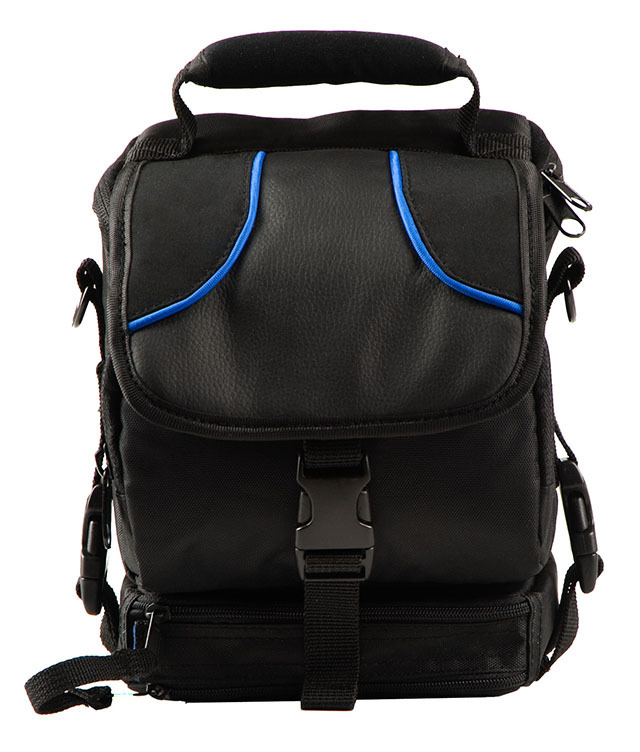 This style of bag is perfect for storing DSLRs, Compact System Cameras and accessories. These bags are also suitable for smartphones and accessories. The Kenora Series includes a modern looking, high quality backpack that is divided into two compartments. The top compartment is for personal items and designed for quick access at the front of the bag. The bottom compartment is for camera equipment and quick access is available at the side of the bag. There is also a laptop compartment in the back section of the bag. The soft cushioned interior provides protection against shock and a cushioned strap makes these bags comfortable to carry. The Ocean series arrives at Kenro in a range of 6 sizes. This exclusive series features striking blue highlights on the outer of the bags and provides a classy deep blue interior. Inner measurements range from 140x80x120+30mm in the smallest size camera case right up to the 230x160x390mm rucksack. Like the Kenora series the Ocean Bags are great for storing DSLRs, Digital Cameras and Camcorders. The quick side access is also a great feature allowing photographers to always be ready to capture the perfect picture. The cushioned backs and hand grips as well as shoulder straps make this bag easy and comfortable to carry. SRPs start from £13.80 including VAT for the Kenora Series and from £10.44 including VAT for the Ocean Series. For details of your nearest stockist please visit www.kenro.co.uk – alternatively call Kenro’s head office on 01793 615836 for further information.